Obesity is an excess proportion of total body fat that results when a person’s body weight is 20 percent or more above normal weight, as determined by the body max index. The body mass index, known as BMI, relates weight in proportion to height. A person is considered overweight if his or her BMI is between 25 and 29.9., and he or she is obese if his or her BMI is over 30. The Social Security Administration considers obesity as a medically determinable impairment that is often associated with the disturbance of the musculoskeletal system. It is this disturbance that establishes disability in individuals with obesity. When filing for disability benefits, the effects of musculoskeletal impairments and obesity are reviewed together because their combination is more harmful than their effects reviewed individually. In regards to families seeking disability benefits for children with obesity, effects are reviewed in conjunction with disorders of the cardiovascular system. Breakdowns in the cardiovascular system can be a major cause of disability in obese children. This is due to the increased workload the additional body mass places on the heart. Obesity can also make it more difficult for the chest and lungs to expand, forcing the heart to work harder to pump blood to carry oxygen to the body. If you or someone you love is suffering from obesity, you may be eligible for Social Security Disability benefits. 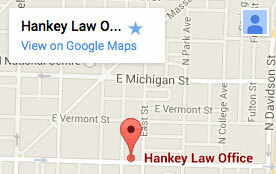 Contact the Indianapolis Social Security Disability lawyers of the Hankey Law Office at (800) 520-3633 to speak with an attorney who cares.